The nature of the work of the pastor is not to be defined by the culture, congregation or the pastor himself, but by the Lord. IIn Marva Dawn and Eugene Peterson’s book The Unnecessary Pastor, we are given an insight into the plight of contemporary pastoral leadership. Originally, the title of this book was taken from a Regent College church leaders’ conference which was led by the authors. The authors provide us with the following stunning thesis: the clergy and churches are in crisis today in large part due to an identity crisis in how the culture, congregations, and the clergy themselves view and regard their respective call, role and function. With this understanding, Petersen and Dawn assert that what is needed in today’s Church, is to rediscover and reclaim the ancient Apostolic perspective, form and practice of ministry as expressed in the New Testament. Petersen states emphatically that the inner communion of the Three Persons of the Trinity should be the image for the ministry model that the clergy should seek to emulate and not to conform to the standards set by the worldly culture. The end result of the former is for the pastor to become a faithful and effective Christ-centered servant leader. Hence, the pastor becomes “unnecessary’ to the success of the local church. Whereas, the end result of the latter is for the pastor to fall into the secular worldly-based model of ministry by becoming a manager, marketer, entertainer and therapist.2 Thus, the pastor becomes “necessary” to the success of the local church by subscribing to a pastor-centric focus. It is this goal of making clergy unnecessary to which the book has as its primary aim. This is a move which necessitates a transition from a form of culturally-determined managerial professionalism to a Biblically-determined pastoral leadership. The first issue that I see as relevant to my ministry is the need for ministry to be rooted on the Apostolic model and to resist the secular mindset which is permeating local churches and denominational jurisdictions. The congregation should not set the tone, scope or nature of the pastor’s ministry. By mere definition, it shouldn’t because it can’t. Ontologically, the pastor’s call is of Apostolic origin. As the authors rightly observe, “Everybody and his dog has a job description for the pastor. Everybody knows what a pastor must do to be a real pastor. That’s a problem, but what complicates and compounds it is that it’s nice to be so needed, nice to have culture and congregation alike interested in defining our work and giving us instructions on how to go about it. It’s nice to be so much in demand.”5 As a result, the focus becomes the pastor and his ministry instead of Jesus and His work. The Apostle Paul reminds Timothy, “fan the flame the gift of God which is in you through the laying on of my hands”.6 The nature of the work of the pastor is not to be defined by the culture, congregation or the pastor himself, but by the Lord. Both of the above mentioned aspects involve being Biblically-rooted in sound doctrine. 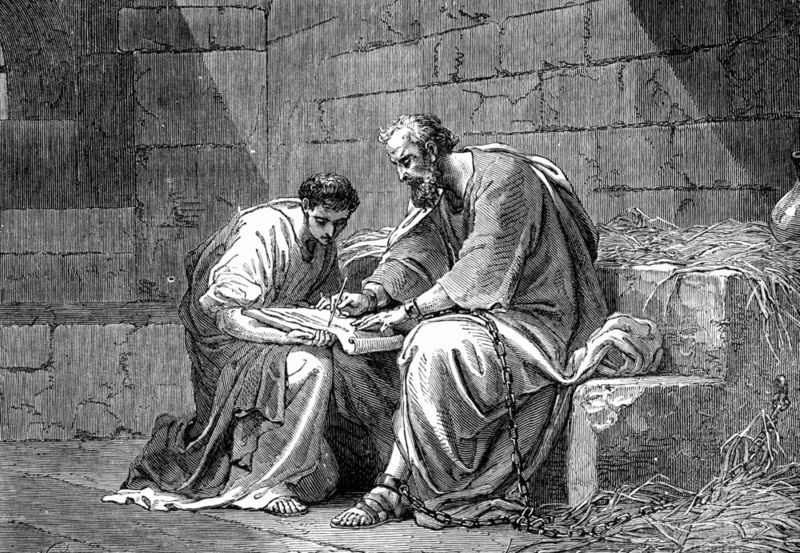 Paul writes to Titus, “teach what accords with sound doctrine.’9 This is the overarching theme and emphasis that we find in the Pastoral Epistles. Without sound doctrine, one falls into heresy and/or apostasy. Thus, in the Pauline view of things, one’s ministry is compromised and mutedly ineffectual. Dawn and Peterson explain this in the following way, “the early Christians did not try to translate their faith into something that was accessible to the world’s darkened understanding. What they did instead was to engage in a way of life that was so different from the world that their neighbors wanted to be part of it.”10 It is this missiological expression of Christian witness which typifies the Biblical New Testament model of the local church and its outreach to the world. In his Letter to the Ephesians, the Apostle Paul teaches that God has given His people salvation through the gift of faith in His Son Jesus. He speaks of how he experienced this by referring to “how the mystery was made known to me by revelation”.14 Paul believes and unequivocally states that his ministry is supernatural. It is not of earthly intent, essence, or means. This supernatural nature of his ministry is from where he attributes his authority as an apostle. Consequently, he exhorts that we as God’s people are called to express this new life we have in Christ by holy living and self-sacrificial love.15 It is precisely this diakonia (service) of love to one another rooted in worship that should exude from the pores of the community in its church life. I think that in the final analysis, the question is begged. Why do we keep doing these wrong things by maintaining these false paradigms? This is especially pointed when we read the writings of the Apostle Paul who admonishes us to do otherwise. We need to start listening to Paul again. It has been much too long that we have been doing our own thing. We need individual and communal repentance on this matter. We need to become a truly believing and praying Church. For many in the Church, this will be revolutionary and radical change. Well, they are right. Yet, this is our true paradosis (Tradition = deposit of faith) which has been handed down. Only then will we see the change that we so desparately need and yearn for whether we realize it or not. 1 Marva J. Dawn and Eugene H. Petersen, The Unnecessary Pastor: Rediscovering the Call (Grand Rapids: Eerdmans, 1999), 215. 2 Dawn and Petersen, 61. 3 Dawn and Petersen, 4. 5 Dawn and Peterson, 184. 10 Dawn and Peterson, 160. 11 Theodore Kalmoukos, “Parish Council Elections and Indifference,” The National Herald (December 13, 2016). 12 Dawn and Peterson, 20. 13 Dawn and Peterson, 110-11. 17 Dawn and Peterson, 127. 18 Dawn and Peterson, 14. 19 Dawn and Peterson, 15. 20 Dawn and Peterson, 134. John GPanagiotou is a Greek Orthodox theologian, scholar and writer He is a graduate of St. Vladimir’s Orthodox Theological Seminary and Wheeling Jesuit University Panagiotou is Lecturer in New Testament Greek at Cummins Theological Seminary. Well said! Thank you for this John! Let me add that, in addition to what you point out here, another problem is that many Orthodox clergy have no relationship with Jesus Christ. They aren’t pastors in the biblical sense because they aren’t disciples of Christ. As a result, as Theodore Kalmoukos points out in the article you quote, clergy become little more than religious tax-collectors. Or to put it more gently, a clergyman who never formed as a disciple of Christ, can’t fulfill his role as pastors. And so, as you point out, his understanding of his ministry, the congregation and himself is framed not by the Gospel but by the ever-shifting values and expectations of a fallen world. As a result, can’t witness to the joy that comes with serving Christ and His Church because he hasn’t experienced it. Until the personal spiritual formation of the clergy–both those preparing for ministry and those currently serving–is at the heart of what our seminaries do, the pastoral situation in the Church will only become worse. The Pew studies on religion in America confronts us with the facts on the ground. The Church in America is shrinking and shrinking fast. To take only one example, between 2007 and 2014, 30% of those who joined the Church as adults left. Though precise numbers are hard don’t exist, when you recall that new people were coming in the front door while converts were leaving by the back door, this gives us a likely defection rate of at least 40-50%. If we can’t even keep the people who make a decision to join the Church, what kind of future do we have as more and more of those baptized as infants drift away? Again, thanks for the insightful–and needed–review! Where do the Sacraments fit in this model? As good as many points are in this summary it still seems to contain a lot of buzz-words and ideas that do not place the Sacraments at the heart. In my experience, people leave the Church because they want to. They want to, in part, because they never had the authentic encounter with Jesus Christ or stopped expecting and nourishing it. I came to the Church for one reason-Jesus Christ. The priest who baptised me was a disaster and the congregation was largely unwelcoming. I had no catechesis. What I did have was a clear recognition of the presence of the person of Jesus Christ in the Sacraments, particularly the Eucharist. I stay for that. I struggle for that. He continues to be merciful. The Pauline Model is simply an exposition of the living presence of our Lord in community. As a “model” it is just as lifeless as any other model. If lived, it will be different in each specific community to a certain extent having a dynamic form that adapts. Fr. Gregory is correct though, unless our seminaries work to nurture the love of Christ in those who attend, they work against the Lord. A key to the “Pauline Model” is the laying on of hands. Period. But we lay folk have been encouraged not to trust that because our Bishops are flawed. We have been encouraged to trust instead our own understanding and will rather than humbling myself in repentance –refusing to speak of the sins of my elder brothers–knowing that my sins are even darker. Congregations have the clergy they both need and deserve. Clergy have the congregation necessary for their salvation as well. The difficulty is each wanting the other to be different and ignoring the reality of the Person of Jesus Christ in our midst. Jesus Christ is to be loved not thought about.